I love peanut butter cookies. Whoever says chocolate is better is crazy. 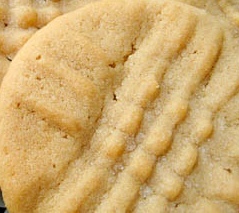 This is a classic version of a peanut butter cookie recipe. Awesome.